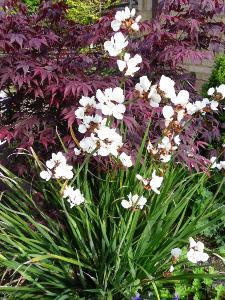 Libertia procera is a clump-forming perennial with evergreen sword-like leaves which look good all year-round. Spikes of clustered purest white flowers from late spring through summer. Prefers moist soils, in sun or partial shade, a reliable showy and easy-to-grow-plant. 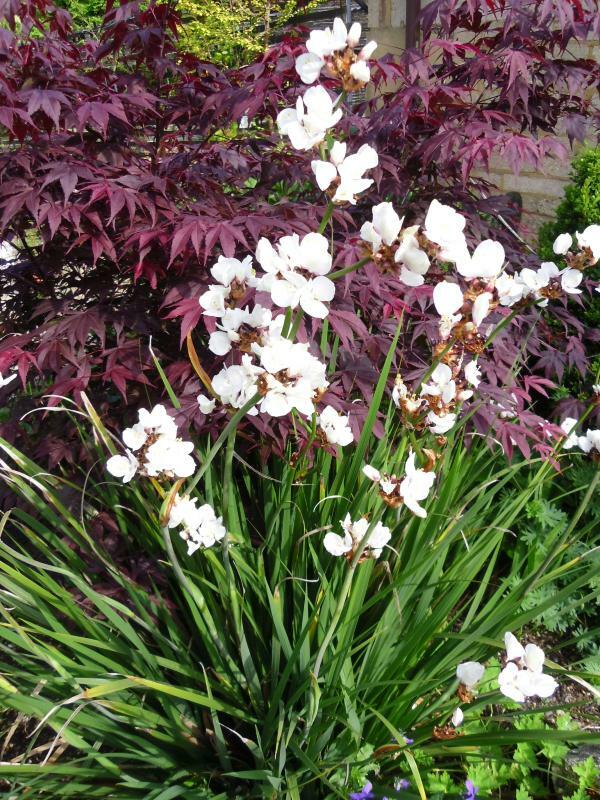 Libertia is a genus of monocotyledenous plants in the family Iridaceae containing 15 species in the southern hemisphere. A number of species are endemic to New Zealand. They are all perennials growing from short woody rhizomes, with simple, linear or narrowly lanceolate basal leaves, which are often green but may be red or yellow depending on the species. The showy white trimerous flowers are open in spring and are followed by capsules opening by three valves which contain the numerous black seeds. The genus was named after Anne-Marie Libert (1782–1865), a Belgian botanist. Libertia procera will grow in moderately fertile, humus-rich soil that is moist but well-drained. Needs a warm, sunny position and a dry mulch for protection in winter in more exposed locations.